Today, at May 23rd, we have a conference called Tizen Developer Conference 2013 at SF, and had a keynote session from Samsung and Intel, with announcement of productization commitments from various other companies. This post will briefly describe what are the current status, and the future of Tizen. First of all, Tizen 1.0 was announced at the last TDC 2012 (May 2012), and we've seen the latest Tizen (version 2.1) released at May 17, 2013. During the one-year development, Tizen became a more stable platform, with bunch of software features including antivirus engine and access control framework, both native and web-app supporting IDEs and emulators, and faster, proven world-best features in Mobile HTML5 (see html5test.com's score: 492 by Tizen 2). The key difference between Tizen and the other platforms is on their vision and approach. 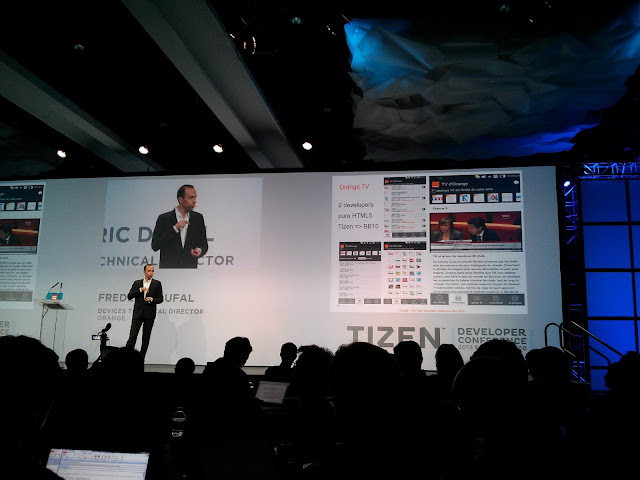 By using the HTML5, Tizen is trying to capture more developers with ease of development for multi-form-factor devices not only for mobiles, but also IVIs, and the other devices like digital TVs, smart home & office environments. In addition, Tizen is providing the native (C++) IDE for the performance hungry applications such as high-quality 3D engines and interactive games. There were two announcements from mobile operators, NTT Docomo and Orange about their commitment to productize the Tizen device. NTT Docomo confirmed that there will be the first Tizen phone coming at 2nd half of 2013, and Orange mentioned that the Tizen will come at the time of "back to school 2013" at this late summer, 2013. The most important reason of Orange's decision to use the Tizen is based on the values to "openness", "innovation", and "differentiation". Orange already implemented various services called "Orange et moi (Orange and me) & Orange TV" using HTML5 (web-app) APIs, and I felt that it seems to be ready to productize in 2 months. There were not only from the mobile-side, but also one announcement from the automotive (vehicle) manufacturer, Jaguar - Land Rover (JLR). 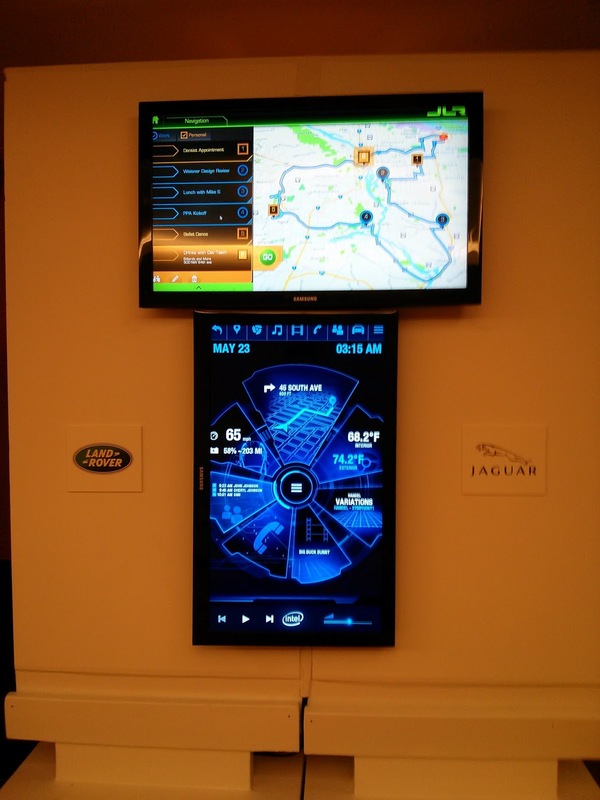 JLR already development a proof of concept level IVI system with Intel's Tizen IVI team. IVI would be also interesting market, since people stay significant amount of their time at vehicle, so it can capture the time of commuting and transporting. 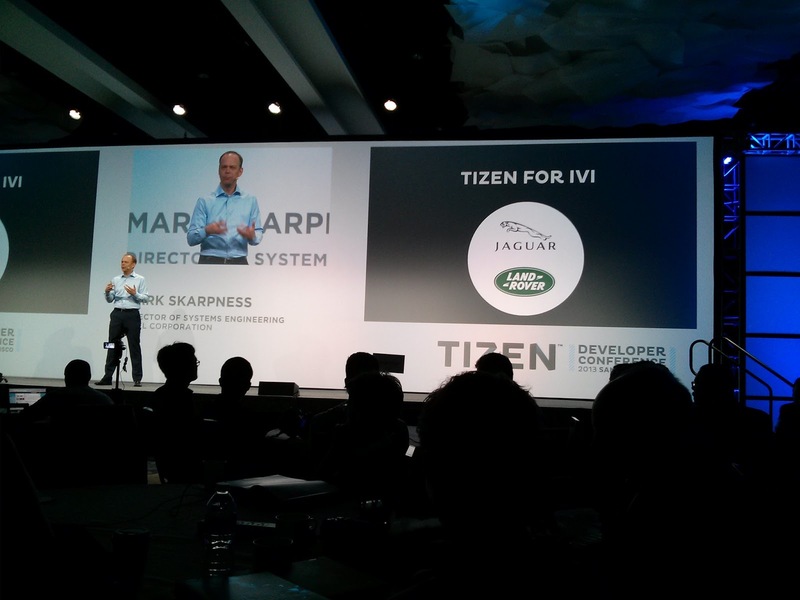 Be frank, I haven't imagine that Tizen is so well prepared for the application ecosystem, but here I have seen that there are 40+ companies working on existing Tizen 2. 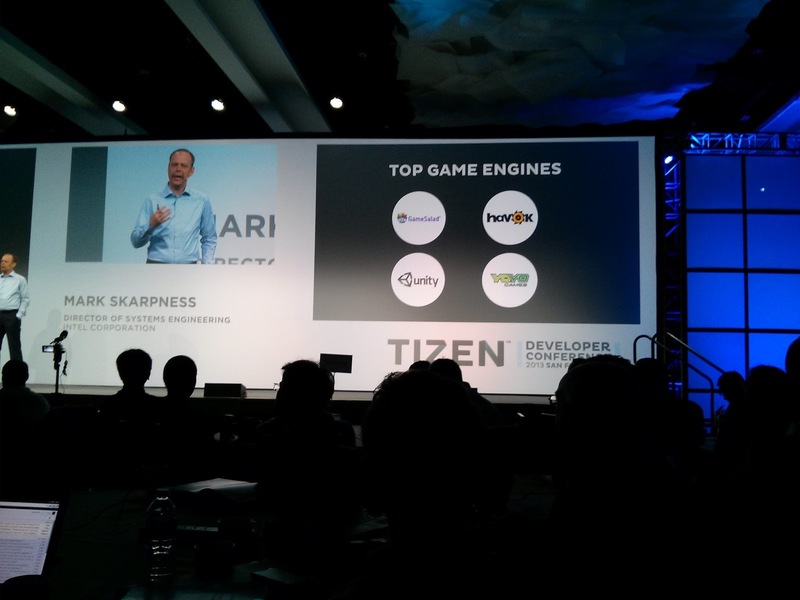 There are not just many app-vendors, but also various 3D game engines like Unity, and they mentioned that it took just 1~2 months to port their whole engine on Tizen. 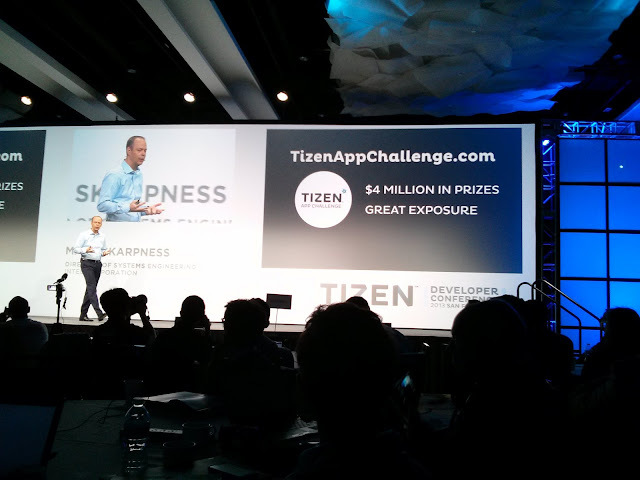 Also, Tizen Steering Committee announced that there will be a $4M budget for application contest starting by June, and it will definitely accelerate such a movement to getting into the Tizen platform. 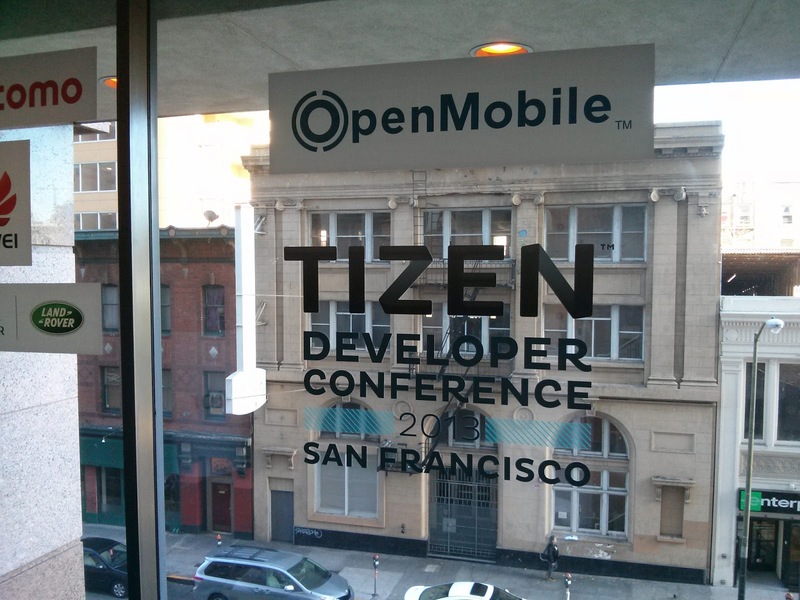 So, what's coming next to this Tizen 2.1? 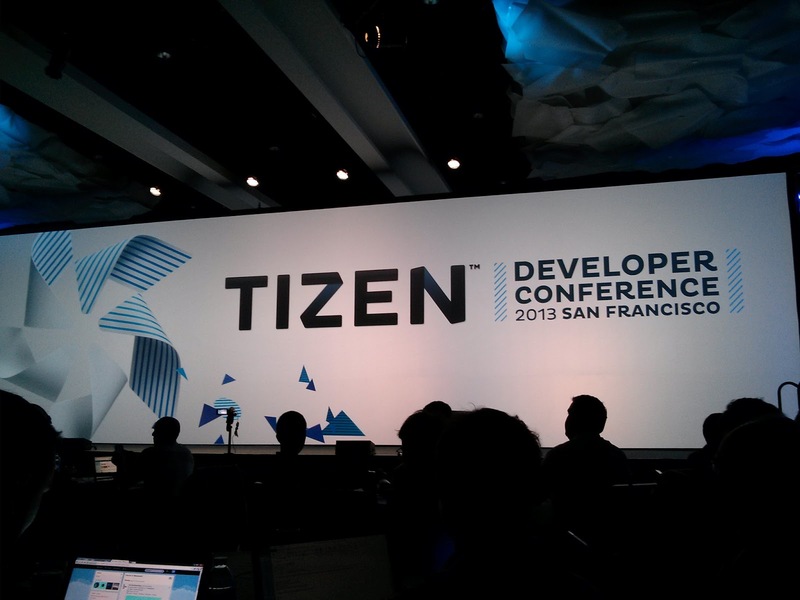 There will be definitely at least two products from Orange and NTT Docomo, and Tizen 3.0 will be available. Also, there will be "unseen, secret" features when they ship the 1st and 2nd Tizen products to differentiate themselves. I strongly believe that there will be another movement to capture most of consumer electronics beyond the mobiles and the IVIs. If you found this post just in time, it's still not too late to see the details in SF. This conference runs up to Friday, May 24, so please give it a try, and there will be 500 free - first-come-first-serve Tizen devices in this conference on Friday! That's it for today morning! I hope Tizen could bring new markets and opportunities for many businesses and also yet-another values to the customers.